Here is an app note from Microchip introducing the audio-specific features of the PIC32 MCUs. One of the features disused is the hardware SPI module that supports some standard audio communication modes. 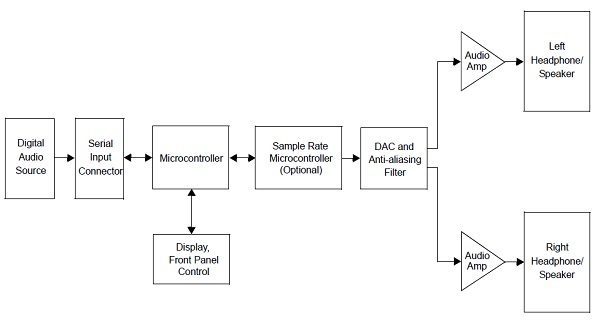 In this application note, the available audio-specific features of the PIC32 MCU are explored to address these needs. The SPI module supports different standard audio communication modes and offers high bit resolution for high-quality audio applications. The flexible reference clock output feature of the PIC32 MCU can be used to provide the master clock to the analog front-end to generate the different sample rates. The PIC32 MCU also offers the USB Host and Device module with flexible PLL clocking schemes at low power. This entry was posted on Saturday, July 28th, 2012 at 9:00 pm	and is filed under app notes. You can follow any responses to this entry through the RSS 2.0 feed. You can skip to the end and leave a response. Pinging is currently not allowed.